We want more resources, more engaged board members, more staff members to do the work of God in our ministry. The constant need for “more” surrounds us. Competition for funds and desire for more influence within our community keeps us spinning. Pressure to do more and be more than what God has told us to do is real. Then there are the whispers that creep into our soul telling us we are not enough, that we need to be more for the people around us. That the leadership within our ministries and at home need more attention, that we must work harder to compensate for the sometimes gnawing feeling deep within us. What if these things that feel like pressure is really a yearning for the “more of God”? After 35 years of being a Christ-follower in vocational ministry, there is one thing I know for certain—doing more work for God does not fulfill. More activity, more conversations, more programs, more influence and even more fruit does nothing for a soul hungry for God. 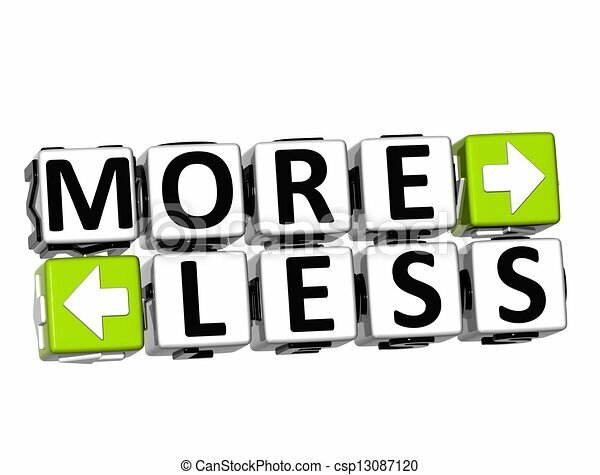 Less is more many times in the economy of God. Accept His invitation to be with Him alone in silence and solitude. Step away from your normal pace, normal setting and experience a different physical place with God. A walk in the woods. A night away in a cabin. An early morning extended meditation time. Get quiet long enough to let what your soul needs to say to God, be said. Be thankful for what you do have and seek awareness of God in the disappointing things. Ask God to open your eyes to His activity in the donor check that was less than expected, the weather raining on your event, the board member that can no longer serve. Grow in the revelation of God’s love for you. Learn that God’s love for you is not linked to more work you do for him. Actually, it’s the exact opposite! He wants lovers first, with work flowing out of that union. Be ok with the messiness of life, ministry and relationships. Jesus was. This fear of messy and the natural chaos of life is real, yet it can project rigid procedures that imprison those around us rather than empower. Messy is inevitable and if we can see innovation and opportunity for growth in the middle of it, our lives will be much happier and care free!